I went Gurney Plaza this afternoon but bought nothing there. It was bored, I got nothing to buy there, doesn’t have much choice of street style fashion thingy there. I’m liking Prangin Mall now. After a swim at the sports club, I and brother went to Prangin Mall in the evening. He wanted to look for cute gifts for his girlfriend and I wanted to buy a new cap. Looking for Subcrew cap, a street fashion brand from Hong Kong, they got some friends told me that there’s a shop selling imported Hong Kong stuff (I.S.O.S. ), went in and see. It’s not cool, all ladies stuff. Walk around and there’s many shop selling street fashion apparels, I didn’t bring my wallet out, I thought I was going to a swim only but somehow, we went to the mall. Fakes is everywhere in Prangin Mall. Zoo York, Stussy, Neighbourhood, Clot, Bathing Ape, all are fakes. But who cares when the price is cheap. 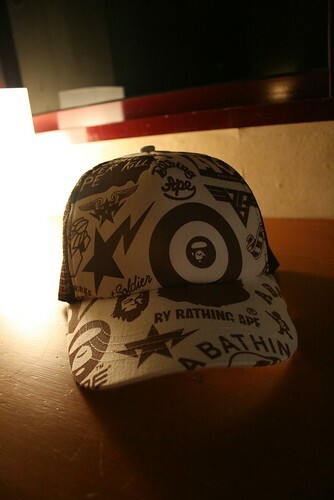 I found myself a Bathing Ape cap for only RM25.90. Pretty cheap and nice right? 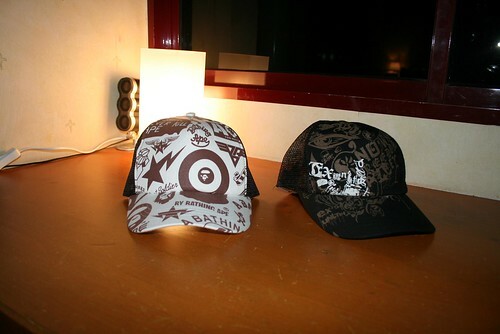 Liking to wear a cap nowaday, when I lazy to do my hair, I just put a cap on it. And now, I got a new cap into my net-typed cap collection. Haha. So little. Buying a cheapest domain name doesn’t worth much if you domain doesn’t contain the niche keyword. Keywords are the base for internet marketing campaigns. Focus on your niche keywords while running a campaign for internet advertising and on all steps of website development. Also buy a reliable web site hosting for your website.